This document is an explanation on our practice of holding and processing the personal data according to the data protection laws. It answers questions on the purpose we collect your personal data, and the way we use it for. It also explain how we protect the data in accordance with the General Data Protection Regulation. We take every effort and do our best to collect, process and use the data you provided for the best interest of your health. A. The main purpose of collecting your personal data is for further communication related to your treatment subscribed with us. In the case of some unforeseen situation, we might need to contact you, and this is also required by the professional regulation. B. Some information is essential for us to understand your health in a holistic way, and forms information base of our diagnosis. C. It is also a common practice we confirm your appointment, or in some cases to re-arrange appointment. We consider the above mentioned purposes are legitimate part of our agreed purpose of seeking TCM treatment, and is for the best interest of you. If might also be of your interest if we can provide some information about our new service or timely available treatment or products. By using this website we assume you agree that you could be contacted by email & telephone/text message. 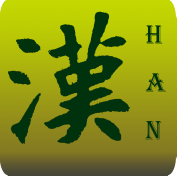 Please e-mail us on hanacuherbs@gmail.com if you do not want receive any information other than appointment confirmation. We have a legal obligation to retain your records for 7 years after your most recent appointment, and the data is protected in the way recommended by our professional body. After this period you can ask us to delete your records if you wish. Otherwise, we will keep your records indefinitely in case you might come back one day in future, and this provide invaluable information for diagnosis and treatment.